Lasso makes it easy for anyone to create and share short videos with fun effects. 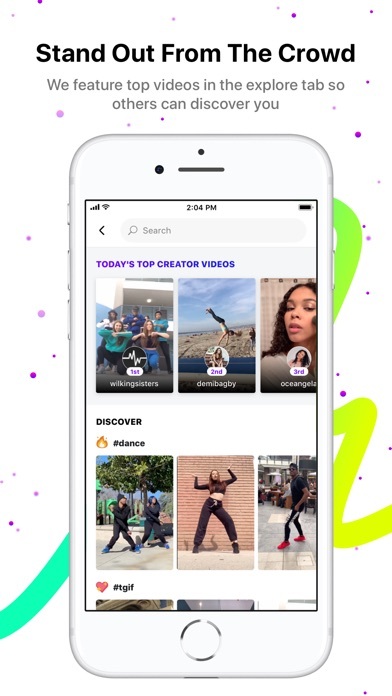 Follow creators, discover popular video trends and join in by putting your own spin on them. 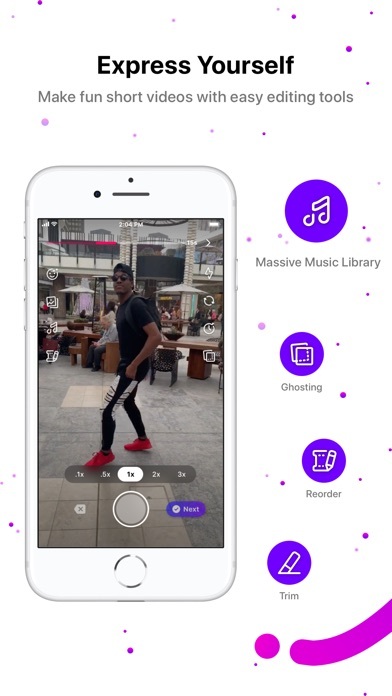 Once you've found a type of video that's trending, whether it's #comedy or #fail, you can use the in-app camera to put your own spin on it with special effects, music and editing tools. Add hashtags to your video to share it with the world! 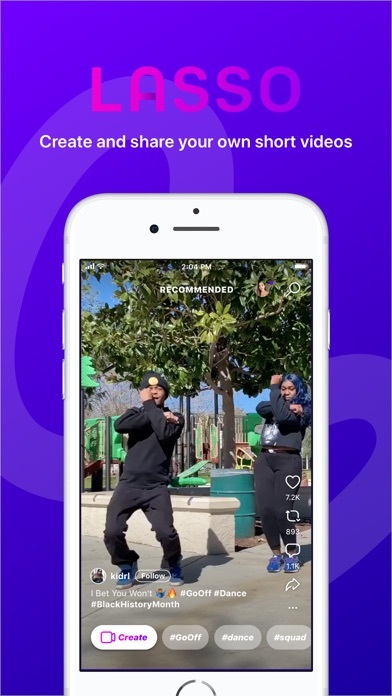 You can also add your videos directly to your Facebook story. COOL CAMERA TOOLS AND EFFECTS Get high-quality video editing tools, effects, text on video tools, music and more from the in-app camera. A MASSIVE MUSIC LIBRARY Lasso's music library is one of the biggest. From pop hits to vintage classics, you'll find whatever song you need to take your videos to the next level. THE LATEST HASHTAGS AND CHALLENGES Lasso lets you know which hashtags are trending and which ones might be soon. Be one of the first people to discover a new trend or one of the first to create a video for it! 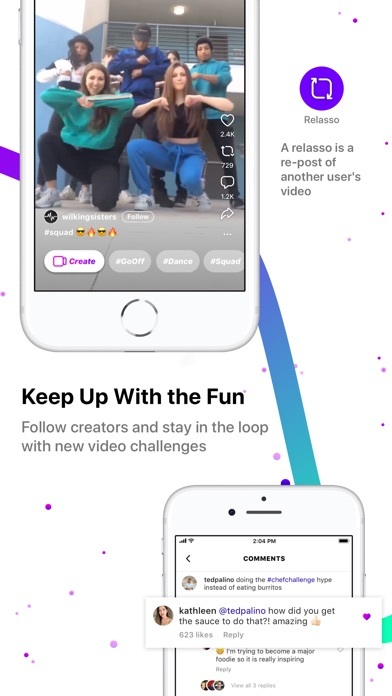 SHARE DIRECTLY TO YOUR STORY Lasso seamlessly connects to Facebook so you can post your videos to your story with a single tap. Whether you want your video to show on all your social profiles or just in one place, you have control over what you share and where it goes. The app does what it advertises; However, it doesn’t do anything more. There are very few creators and viewers and it seems lasso cannot get an audience. The app is very basic and has nothing interesting to keep a user on the app. It has good aesthetic but it does this by the loss of ease of use. The app is very confusing and leaves the beginner user frustrated. I’d suggest any user looking for an app of this style, look toward the competition. I honestly love this app because as a video creator lasso makes it easier to edit with good music. I think it’s also cool how we can’t import content from outside because it allows us to be more on the same level playing field when creating content so that even new users can create same level content. Love it and make sure to check me out at @andyklaric ! Facebook is evil and should be prosecuted. The final video quality is not so good, you can only shot instead of choosing from the library.